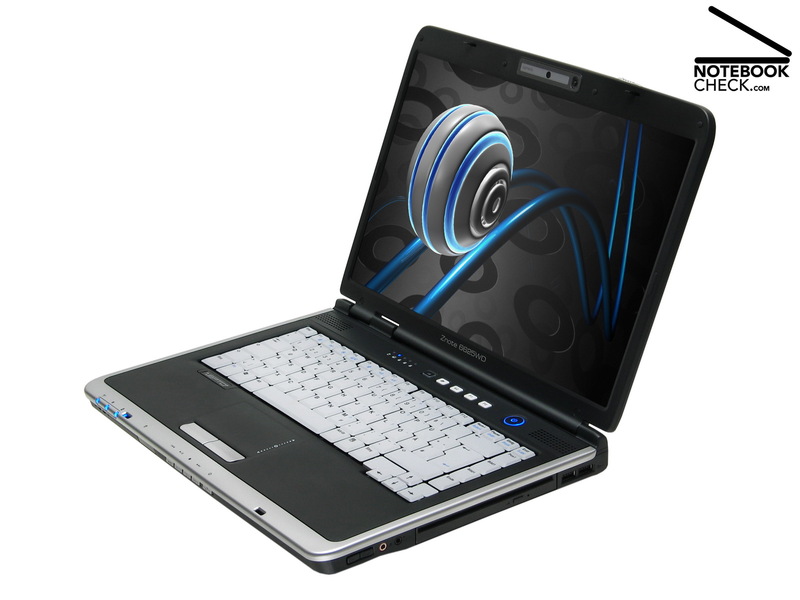 The Znote 6625WD launched by the Danish computer company Zepto, is a powerful general-purpose multimedia notebook, which belongs to the category of 15.4 inch multimedia notebooks fit for computer games. The advantages of this Scandinavian are, besides a powerful Penryn-CPU T9500, a fast Geforce 8600M GT notebook video card, and the brilliant WSXGA+ display. 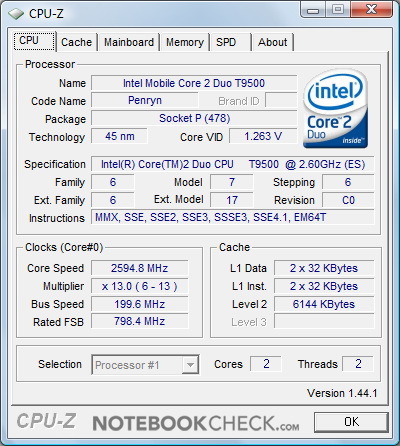 This is a review of the Znote 6625WD with up-to-date Penryn-CPU T9500. 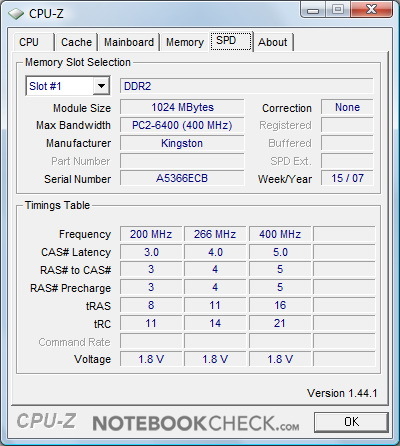 A further review of the Znote 6625WD with different equipment can be found here (processor: Core 2 Duo T7300 "Merom"). The Zepto Znote ever had a simple, but, user-friendly design, a good choice of materials and a good workmanship. These kept unchanged when it was upgraded with Intel's Penryn processorsl. The solid case feels due to the used plastics nice to the touch and the overall impression was good. However, once again, alike the previously reviewed Zepto Znote 6625WD, there is the same flaw that the parts to not exactly fit together. 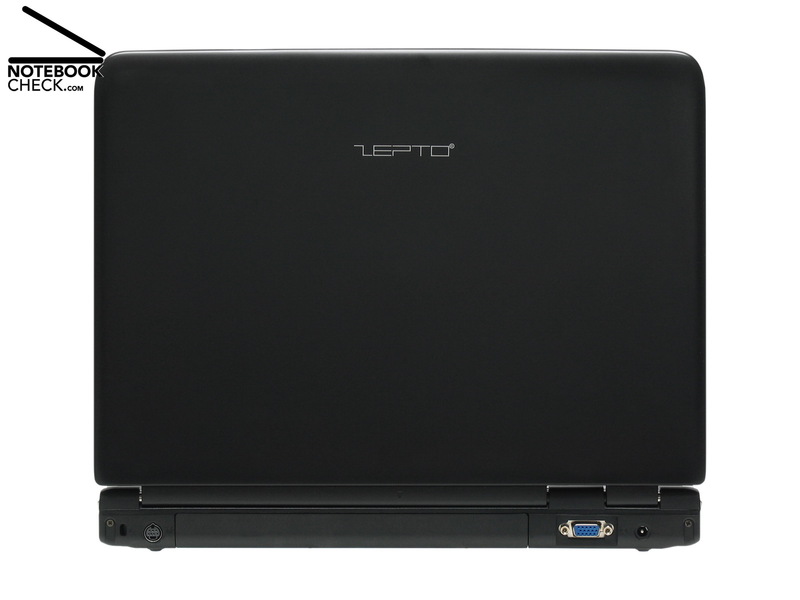 Further details about the case of the Zepto notebook can be found in the Review Zepto Znote 6625WD notebook with T7300-CPU. Also the interface equipment was not changed in the course of the CPU upgrade. 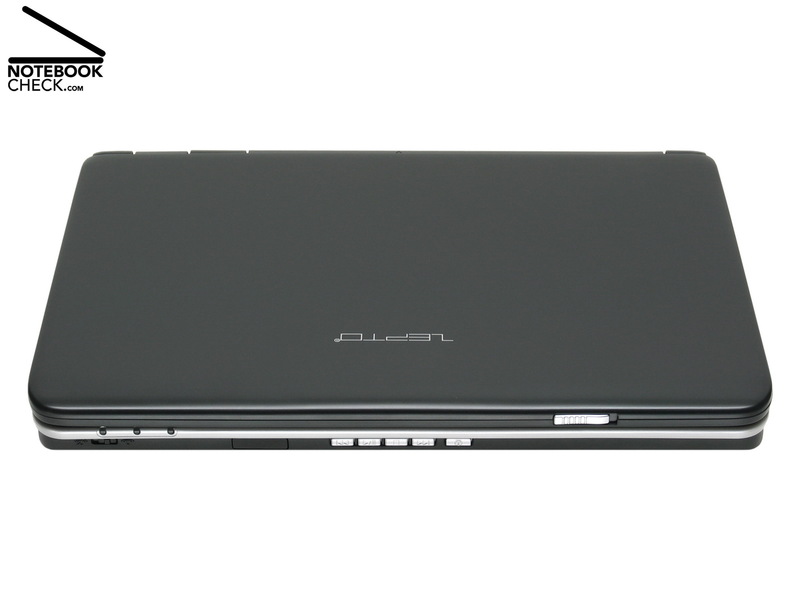 Besides interfaces typical for this notebook category, e.g., four USB-2.0 ports and a card reader, the 6625WD is also equipped with a built-in webcam and a docking port, which is not usually available on multimedia notebooks. Wired data communication is possible via Gigabit-LAN. Bluetooth makes up-to-date wireless communication with peripherals possible. Furthermore, the Znote 6625WD supports the following wireless network connections: WLAN with 54-MBit/s and a 4965AGN module by Intel, which supports Draft-N data transfer rates of up to 300 MBit/s. Shortcoming: Unfortunately a digital video out, like DVI and/or HDMI port, are neither available at the notebook itself nor at the optional docking station. 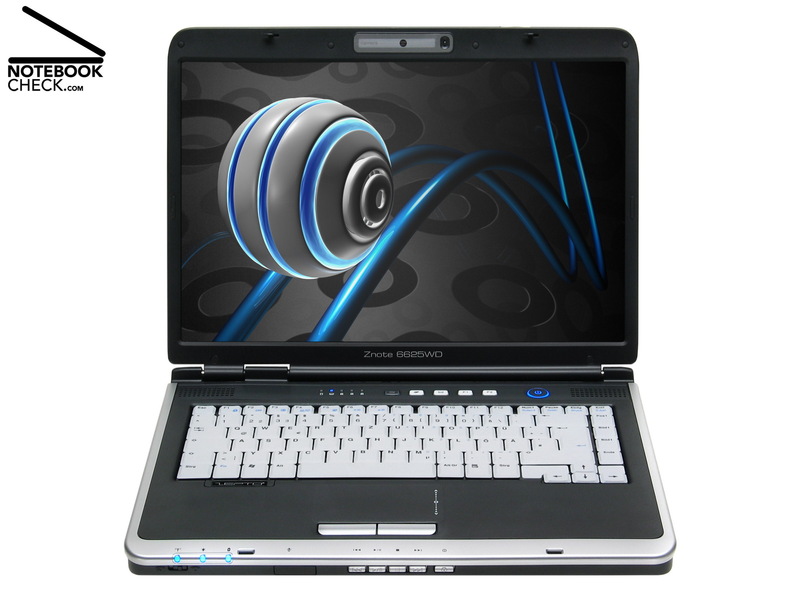 Further details are available in Review Zepto Znote 6625WD notebook with T7300-CPU. 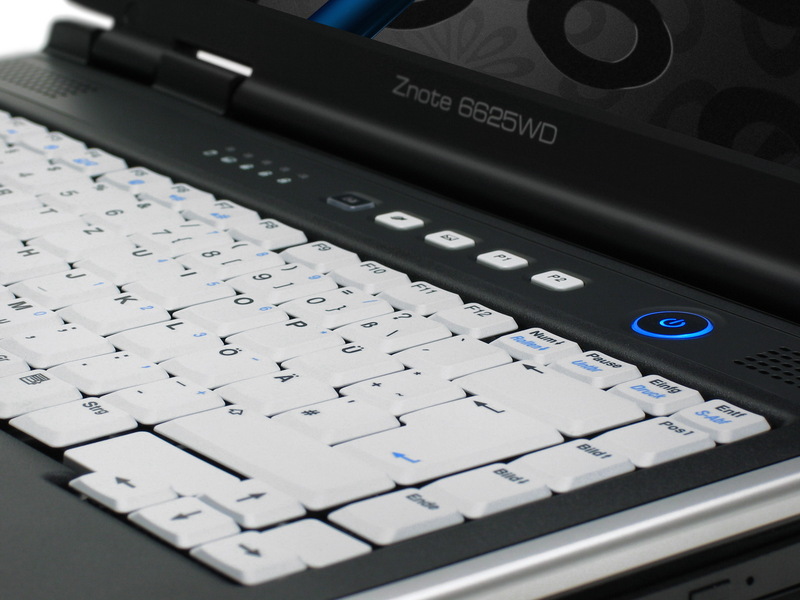 The input devices of the up-to-date Zepto Znote 6625WD with T9500 processor are also identical to the ones of the Znote 6625WD notebook with T7300-CPU. Also this keyboard clearly springs in its centre, if you type quickly. But, we liked the user-friendly standard German keyboard layout of the 6625WD. The touch pad is alright, besides that the clicking noise of its buttons could be quieter. 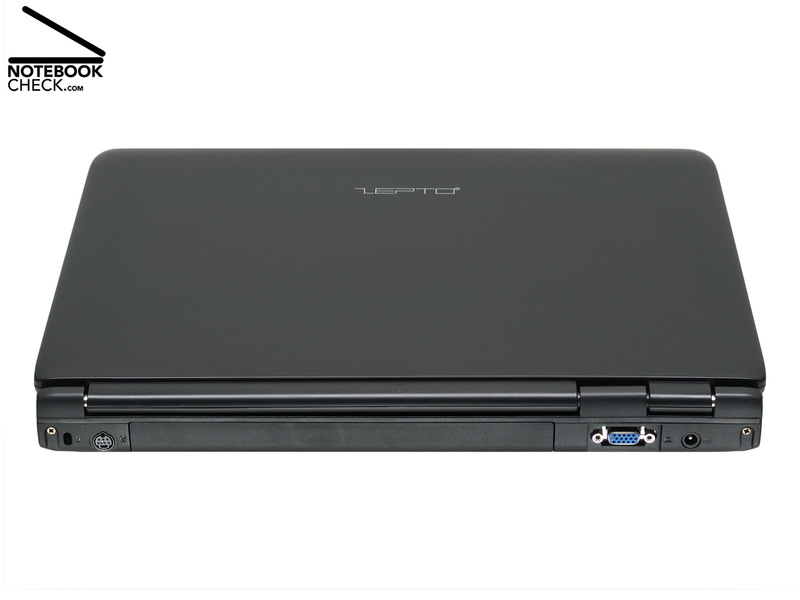 More details about the input devices can be found in Review Zepto Znote 6625WD Notebook with T7300-CPU. 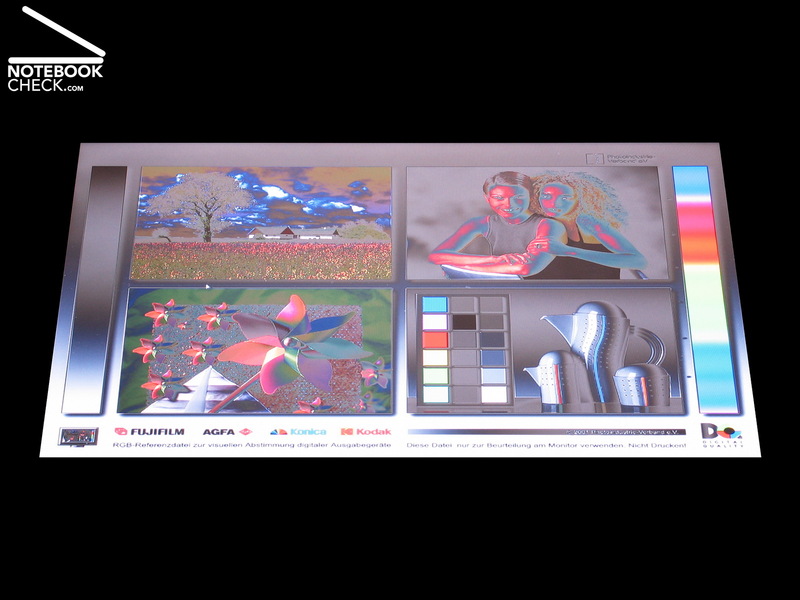 The desktop size of WSXGA+ displays is due to their high native resolution of 1,680 x 1,050 pixels big compared to standard 15.4 inch LCDs with 1,280 x 800 pixels. If you worked with a 15.4“ notebook with WSXGA+ wide-screen display once and enjoyed the big desktop, you won't voluntarily work with a lower resolution. However, such high resolutions are not absolutely ideal, if you want to play current, demanding computer games, because the performance of the currently available mobile video chips is still limited. 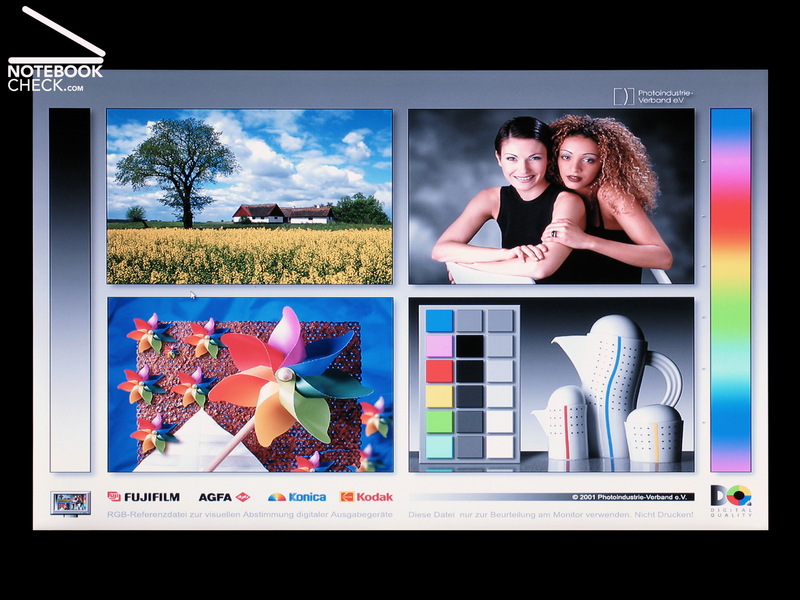 Nevertheless, 15.4 inch WSXGA+-LCDs are highly demanded. The display of the reviewed 6625WD differs from the display of the Znote 6625WD Notebooks with T7300-CPU which we reviewed earlier. The up-to-date 15.4 inch wide-screen notebook has the same, very fine resolution of 1,680 x 1,050 pixels (WSXGA+) as the display of the 6625WD we reviewed earlier. However, this also reflecting Crystal-Clear display is clearly worse regarding maximum brightness and evenness of luminance distribution than the one of the former Znote 6625WD (manufacturer information of 200 Nits for the base panel type). The measured maximum brightness of this 6625WD was 168,4 cd/m². The former Zepto model had a maximum brightness of 216,0 cd/m². 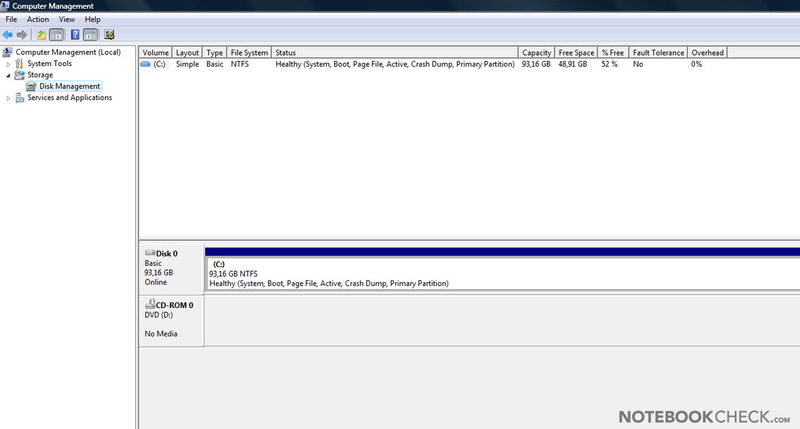 The maximum brightness of the current 6625WD is just average considering the notebook category. In return the current 16:10 aspect ratio display is better than the former one regarding contrast ratio. The measured minimum brightness (black value) of 0.3 cd/m² gives together with the maximum brightness a contrast ratio of 561:1, which is higher than the one of the 6625WD with T7300-CPU, which has a contrast ratio of 434:1. 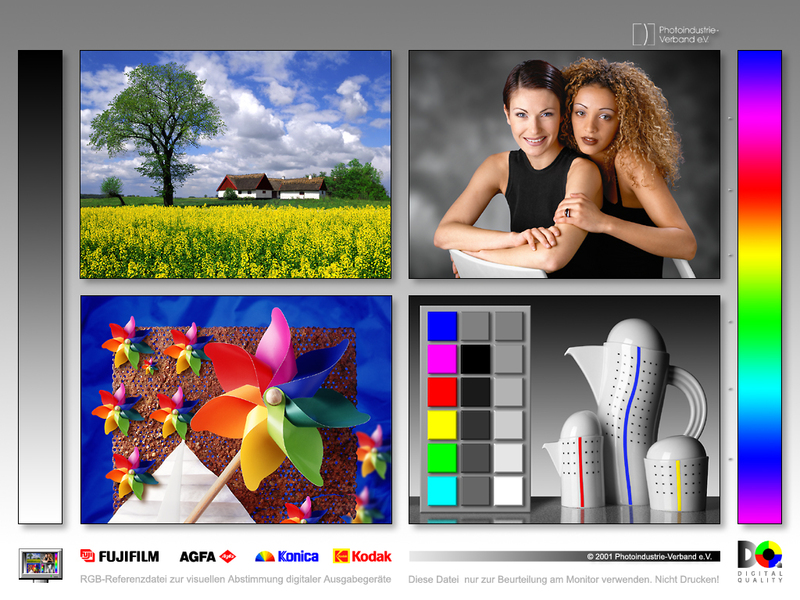 The brilliance of the LCD is very good and the colours are vivid. Also the deviation of the brightness differs from the first 6625WD review. 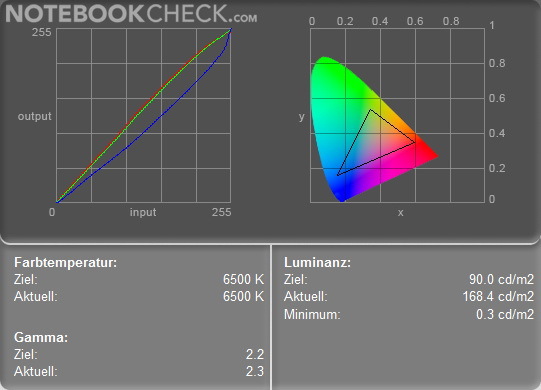 Due to our measurements, where we measure the luminance in 9 areas of the display, we found out, that the brightness between the brightest area in the middle of the screen (168,4 cd/m²) and the darkest area in the left bottom corner (132.5 cd/m²) differ by 21.3 percent in mains operation. 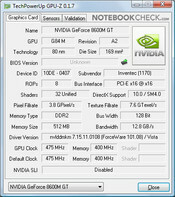 The evenness of luminance of the Zepto Znote 6625WD is 78.7 percent, which is average considering the notebook category. Compare: The Znote 6625WD with T7300-CPU reached 86.3 percent. However, this unevenness does not really get obvious, if one displays bright backgrounds on the screen of the Znote 6625WD. If you look at the bright desktop for a longer time, the brightness seems to be rather balanced. Only the two bottom corners seem to be a little darker, if you look very carefully. In practice this should not really disturb, if you run multimedia applications or play computer games. 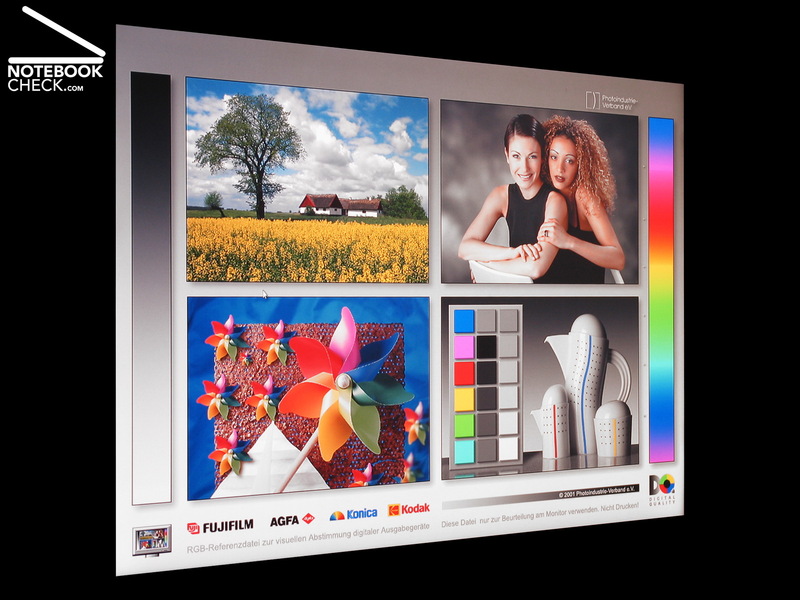 Compared to other reflecting displays, the horizontal viewing angle does not have a big impact on the picture quality - brilliant! Vertically, the viewing angles are average. Overall, the viewing angles of the 6625WD are alright. 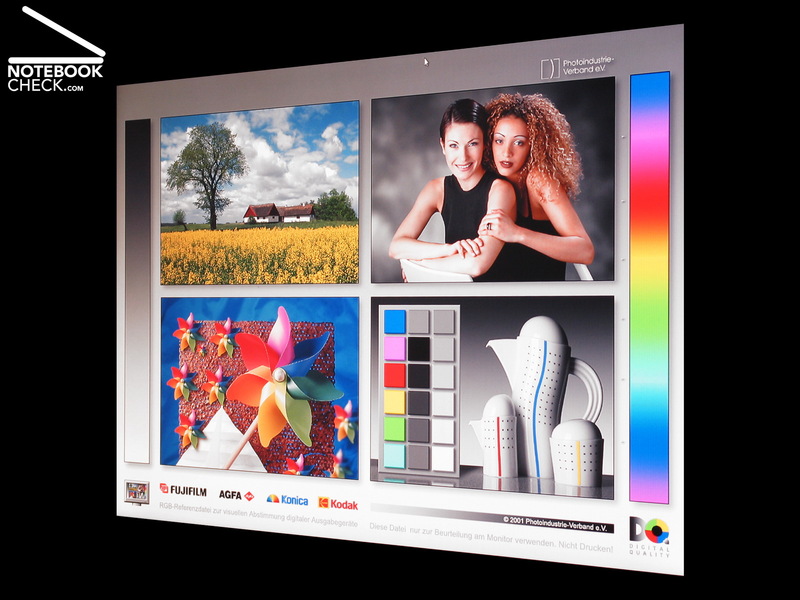 The display also scores points if it is directly compared to our reference TFT, a Viewsonic VP2030b. Besides that the colours are slightly cold and hard, the colour representation is rather neutral. 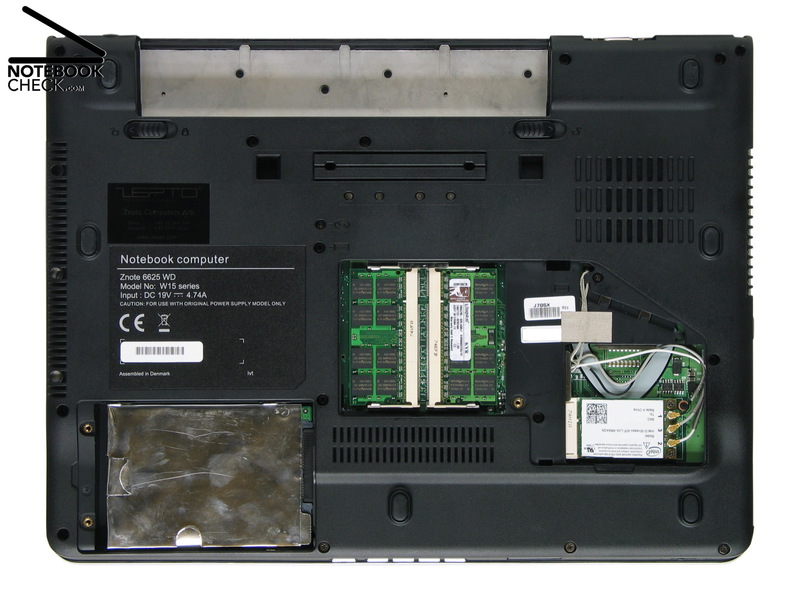 The customer can configure the Znote 6625WD in the on-line shop of Zepto according to his demands. 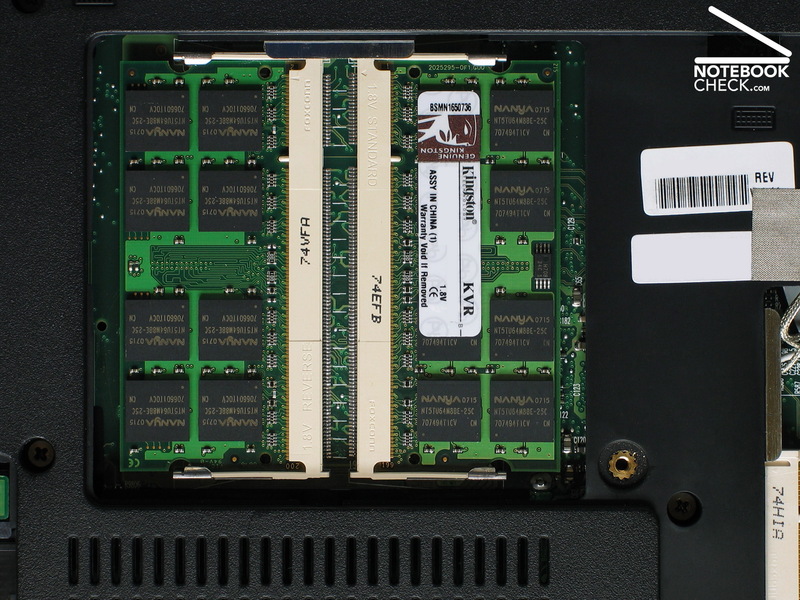 Besides a variety of different processors also RAM and hard disk capacity can be selected. Furthermore, there are a couple of choices regarding further equipment details, e.g., operating system, extent of warranty, and further accessories. In base equipment the Znote 6625WD by Zepto currently costs 879 Euro. 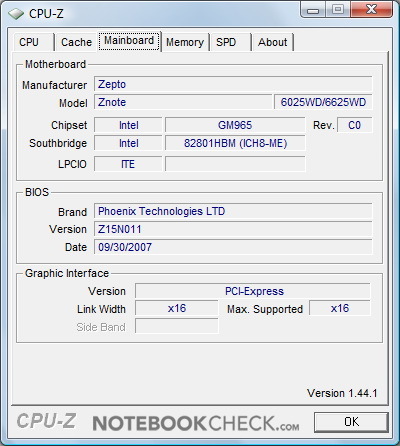 The reviewed Znote 6625WD was equippped with a brand-new and fast 'Penryn' processor, an Intel Core 2 Duo T9500 with 2.6 GHz clock frequency. Furthermore, it comes with 2GB RAM, in two DDR2-800 modules, a 100 GB hard disk, in more detail a Momentus 7200.1 by Seagate, and a WLAN module 4965AGN by Intel. 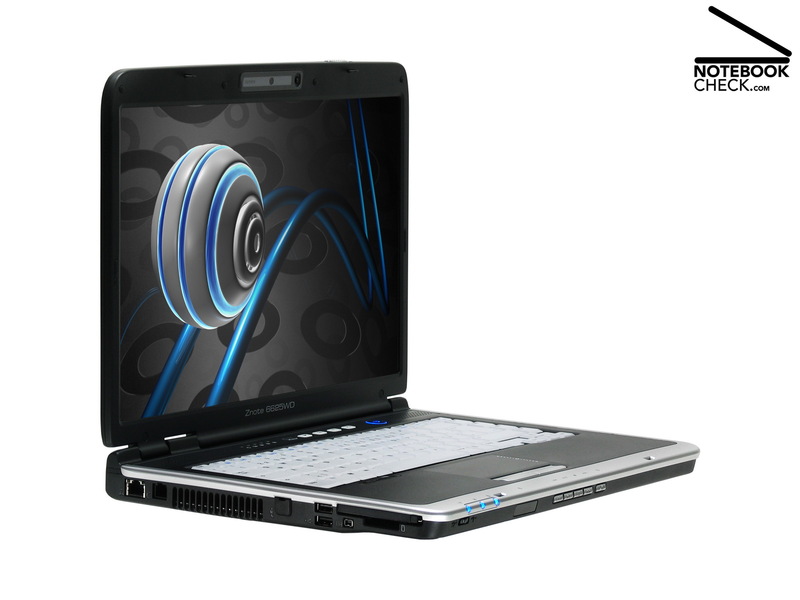 The reviewed 6625WD notebook was equipped with a powerful Nvidia GeForce 8600M GT graphics card with 512 MB dedicated GDDR2 memory. 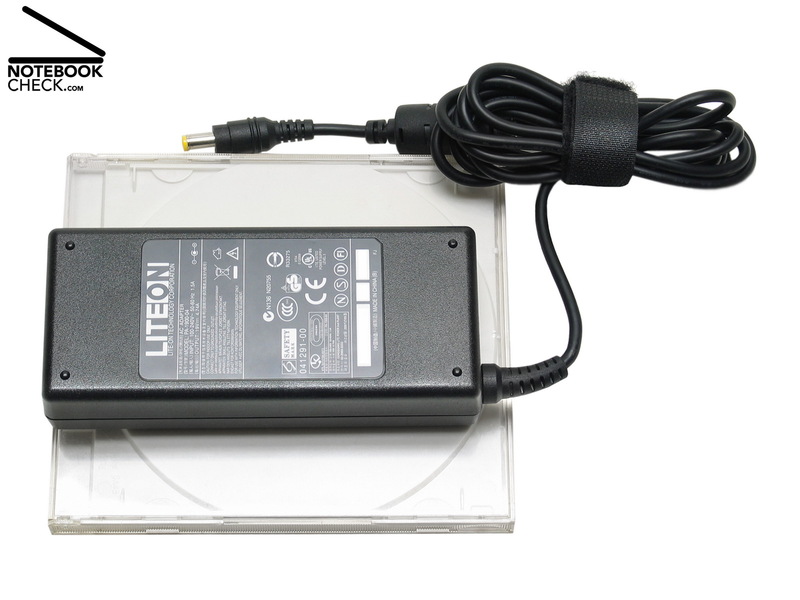 Optical media, like CD and DVD, are supported by a TSSTcorp CD/DVDW SN-T082L.. The operating system is made by Microsoft, and is the up-to-date Windows Vista Home Premium. Furthermore, the warranty is a '24 month Carry-in Germany and EU'. The price of this bundle including operating system is about 1600 Euro. 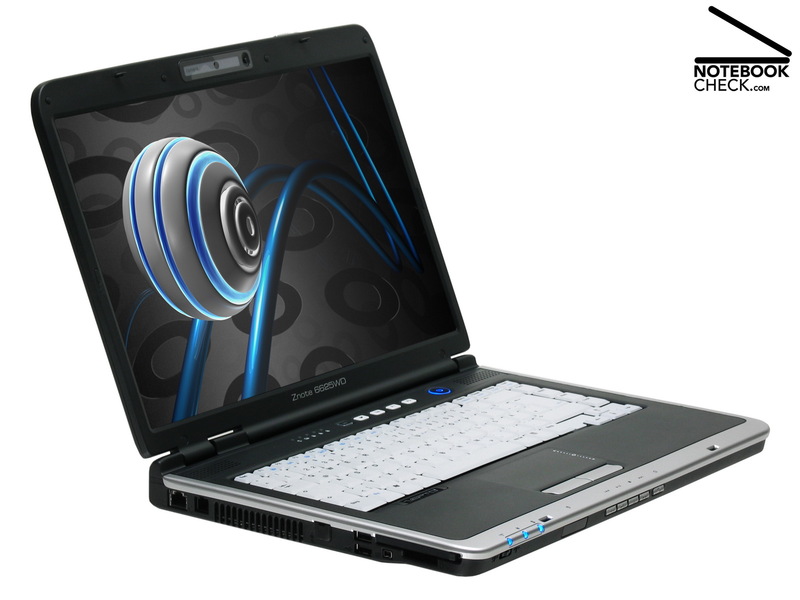 Due to the fast Core 2 Duo T9500 the application performance is as expected very high. Our comparison test of 'Penryn' CPUs proves that a Penryn CPU is in general more powerful than the identically clocked Merom CPU in practice, however, not in every field of operation. 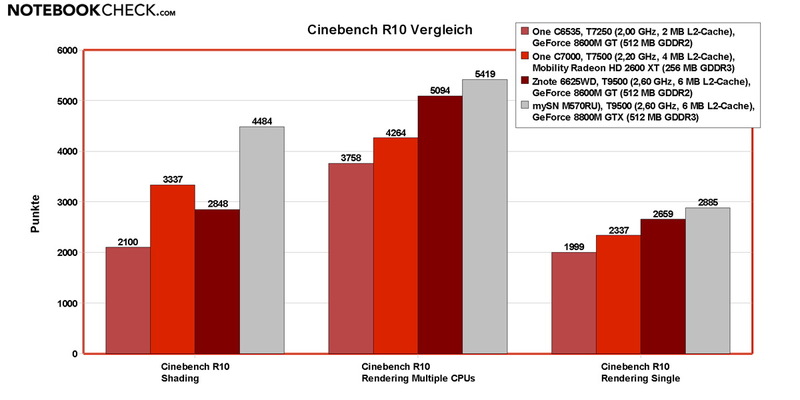 The performance of the Core 2 Duo T9500 (2.6 GHz) was about 15% higher than of the T7500 counterpart in a One C7000 and about 26% better than a T7250 in a One C6535 when we rendered photo-realistic pictures with Cinebench release 10 (without rating shading). Besides fast processor, also the other core components of the Zepto Znote 6625WD are very powerful, e.g., it is equipped with fast DDR2-800-RAM. 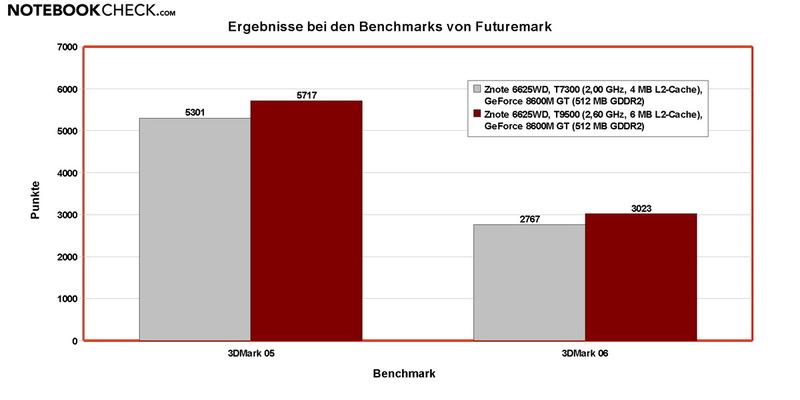 Despite this, 6625WD can not really outperform e.g., the Znote 6324W with T9300 (5,450 points) in the PCMark05 benchmark. It reaches 5,765 which are only 5.46 percent more. Compared to the One C7000 with less powerful CPU, but more powerful ATI HD 2600 XT graphics card, the reviewed Znote 6625WD is about equally powerful in the PCMark05 benchmark, where it reaches 5,785 points. To summarize, the Znote 6625WD by Zepto has a good performance for standard office applications and demanding multimedia applications. It completes all tasks very fast and competent - brilliant! The Znote 6625WD is equipped with a fast middle-class video chip, a Geforce 8600M GT by Nvidia, which is equipped with 512 MB dedicated GDDR2 memory. 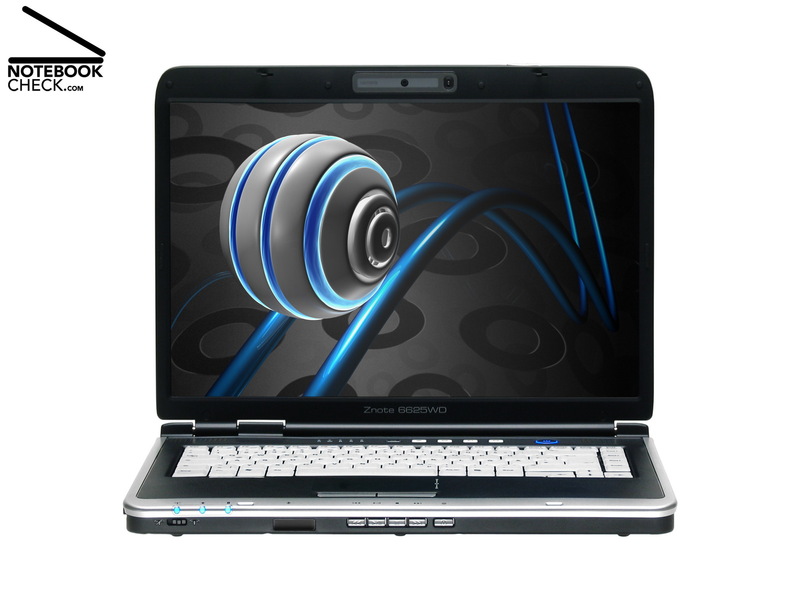 Standard picture editing, multimedia, and video editing are, therefore, no problem for 6625WD. We used the Nvidia driver provided by Zepto (ForceWare 101.08) throughout the following graphic performance tests. It is already rather old (May 2007) and, therefore, not the best choice for current games. However, Zepto also provides an up-to-date video driver on the download page of the 6625WD – brilliant! At the time of writing you could download the ForceWare-156.54 and the -167.59 driver there. 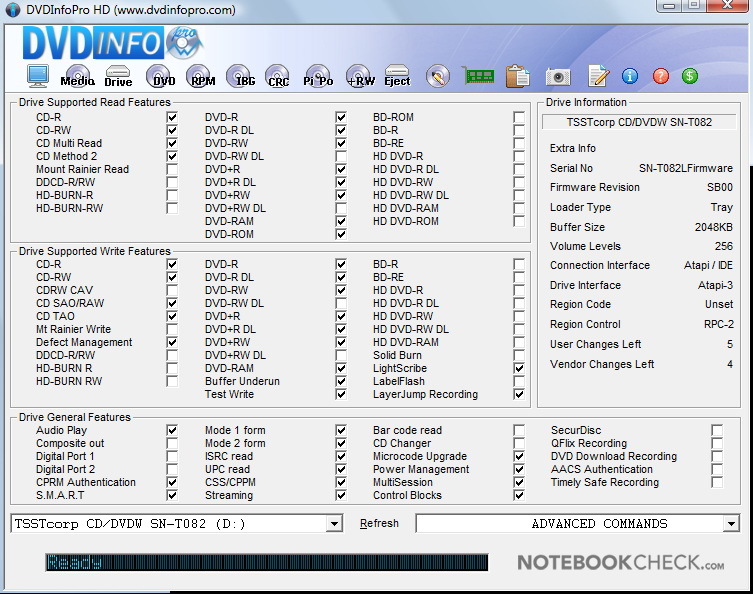 If you like to use even more up-to-date drivers, you can download such from well-known sites, e.g., LaptopVideo2Go. 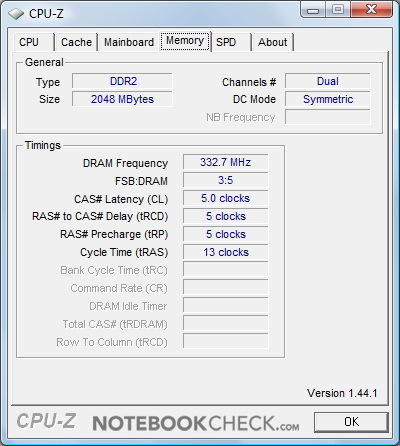 The frames rates of Doom 3 time demo of the current Znote 6625WD with ForceWare-101.08 driver is about 5 to 30 percent higher than those of the Znote 6625WD with T7300 CPU. However, the results of the ego shooters Crysis are not consistent. Whilst the frames rates of the current 6625WD are about 10 to 14 lower, when running the CPU test with 'medium' details, 0xAA, 0xAF, and a resolution of 1,280 x 800 or 1,680 x 1,050 pixels, it is by about 2.4 to 4.4 percent better with low picture quality settings. In the GPU test the frame rate of the current Znote 6625WD is about 3 to 14.5 percent higher. Alike the Znote 6625WD with T7300-CPU also the 6625WD with T9500 is not powerful enough for more than 'medium' details and reduced resolution of Crysis. 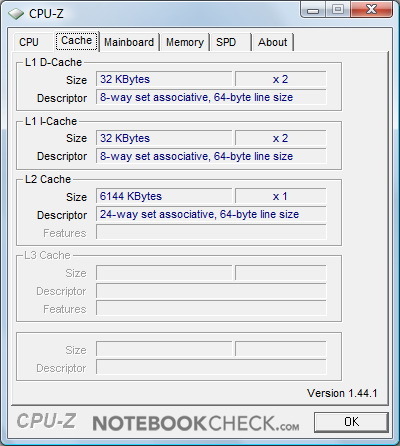 If your main field of operation is computer games, it is noticeably that the performance is due to a high native resolution of the screen and the moderately clocked GDDR2 video memory not ideal anyway. This is of course also true for other notebooks with WSXGA+ screen and a middle-class video card, like a Geforce 8600M GT with GDDR2 memory, by different manufacturers. 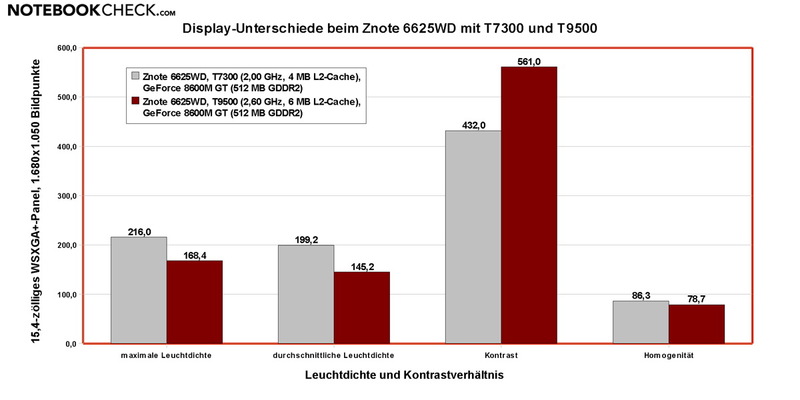 The current 6625WD was slightly louder in daily use than the predecessor Znote-6625WD notebook with T7300 CPU. Even in idle mode the small fan always runs, whereas the noise level ranges from 34.3 to 36.8 dB(A), which is a little louder than its predecessor (33.4 to 34.2 dB(A)). When the hard disk is accessed, you can sometimes hear a noise of 35,9 dB(A), which is hardly audible. If the demands raise or under full load, the small fan speeds up and gets clearly louder. Under full load we measured a maximum noise level of moderate 43.1 dB(A). The uniform, monotonous noise is tolerable. Watching DVDs we measured an average noise level of low 36.8 dB(A) for the optical slot-in drive TSSTcorp CD/DVDW SN-T082L. 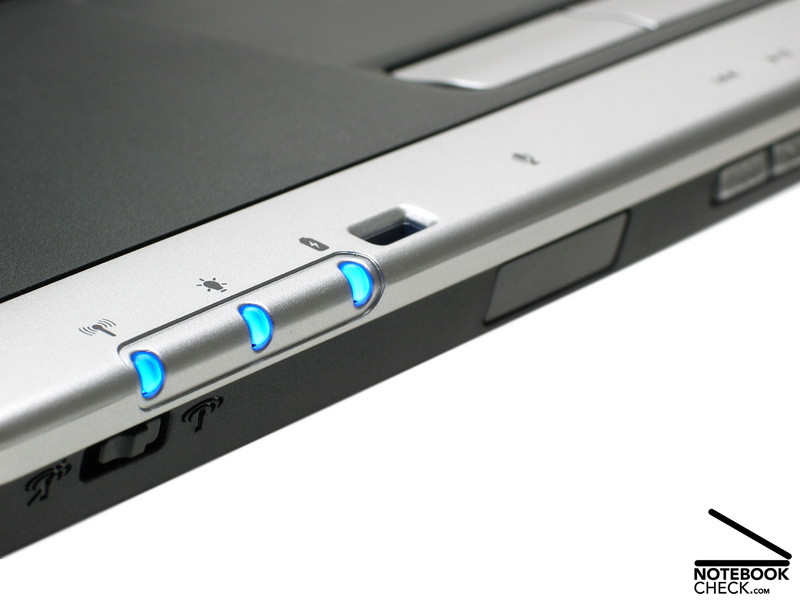 When loading CDs or DVDs the slot-in burner gets really loud for a short time, whereas a noise level of nearly 60 (!) dB(A) is reached. The surface temperatures on the top side are alright. Even when run under load for a longer time, the maximum temperature is only 34.0° Celsius. The temperature increases much more at the bottom side and reaches a maximum of 45.7° Celsius. 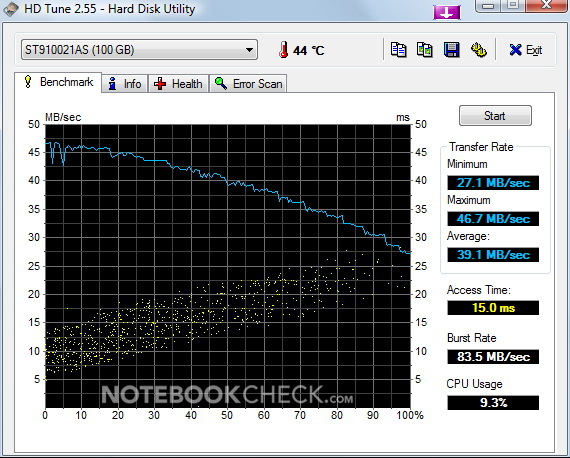 An average temperature of 37.8°Celsius measured at the bottom side exceeds thereby the average of the notebook category of this multi purpose multimedia notebook. (+) The average temperature for the upper side under maximal load is 31.5 °C / 89 F, compared to the average of 30.9 °C / 88 F for the devices in the class Multimedia. (+) The palmrests and touchpad are reaching skin temperature as a maximum (33.5 °C / 92.3 F) and are therefore not hot. (-) The average temperature of the palmrest area of similar devices was 29.1 °C / 84.4 F (-4.4 °C / -7.9 F). 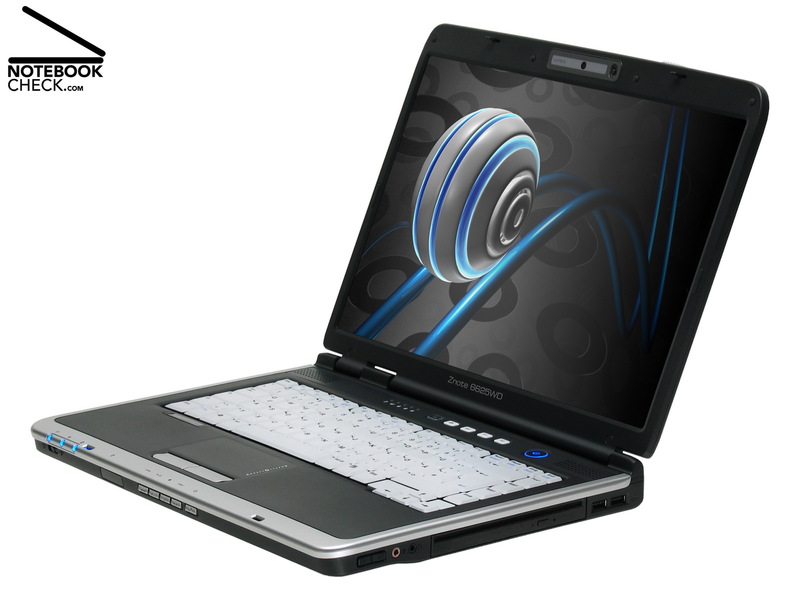 The Zepto Znote 6625WD is equipped with two small stereo loud speakers, whose sound is, typical for this notebook category, rather dull. The sound output via headphones appears to be rather cold and hard compared to other notebooks of this category. A 6 cells 51.84 Wh battery provides the Znote 6625WD by Zepto with energy, if not plugged. Running the Battery Eater Reader's test three times, the runtime was always about two hours with energy saving profile, minimum brightness, without WLAN, and without Bluetooth (weighted average 1 hours 58 minutes). Leaving everything else unchanged, but, with activated WLAN and Bluetooth the battery was empty after about one and a half hour editorial work. The Classic test of Battery Eater (energy mode: 'maximum performance', maximum brightness, WLAN/Bluetooth activated) the battery is already empty in less than one hour. If you consider to travel with your 6625WD, the battery runtime of the standard battery might be too short. However, a more powerful battery with 12 cells is also available. It is to be expected that its runtime is about double of the 6 cells battery. 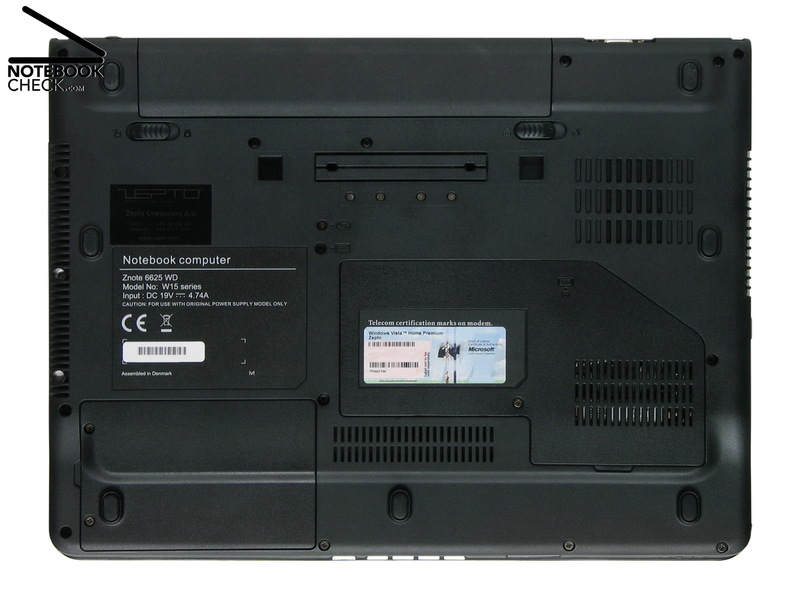 However, the 12 cells battery increases the overall weight of the notebook. Alike the first test of the Znote 6625WD with T7300 CPU, also this one with up-to-date and fast 'Penryn' CPU proves to be a in general good 15.4 inch multimedia notebook. Even the 6625WD of the former test with T7300 processor provided plentiful performance. More than ever this is true for the model with Intel's new top CPU. It is ready for CPU demanding tasks as well as for demanding picture and video editing and multimedia applications. 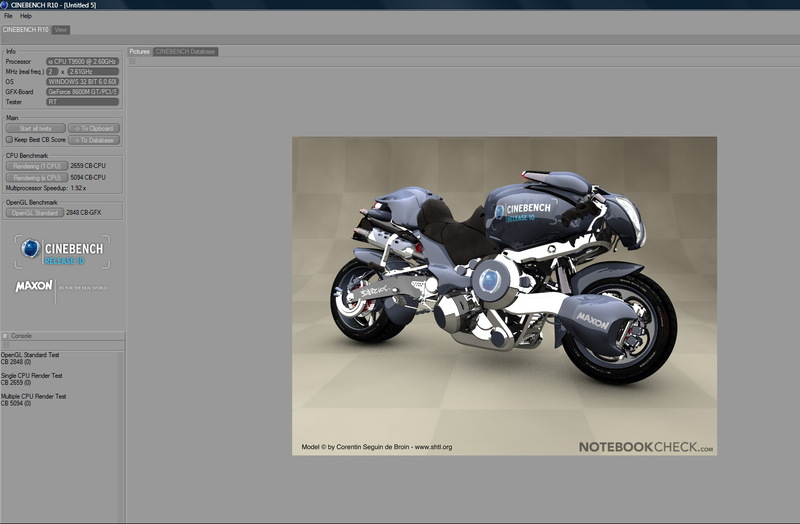 Even rendering high-resolution picture, it is so fast, that there is not enough time left for a coffee break. However, the processor upgrade did not really have a big impact on the gaming performance of current games. 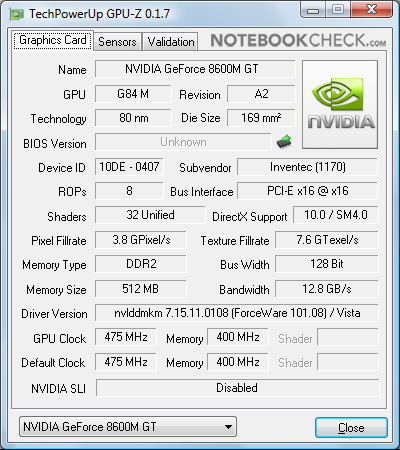 Here, the Nvidia GeForce 8600M GT with moderately clocked GDDR2 memory limits the total performance. Case, input devices, and sound stayed pretty much the same. The case of the 6625WD is overall alright. Although there is a docking port available, a digital video out is still missing. The display is not as good as the one of the predecessor 6625WD notebook. The predecessor is better regarding maximum brightness and evenness of luminance. However, the current 6625WD has a better contrast ratio. 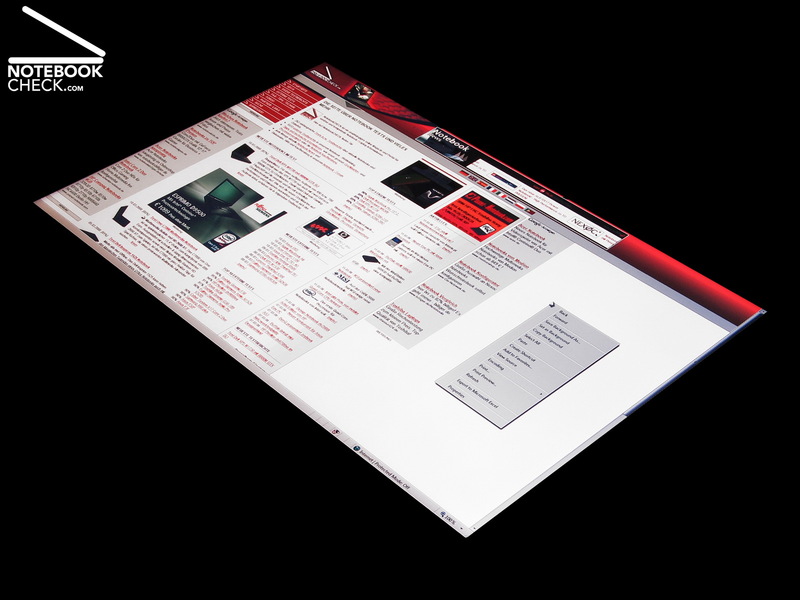 Summarizing the above, also this WSXGA+ display will satisfy the user. You'll especially enjoy the brilliance of this LCD, if you watch films. 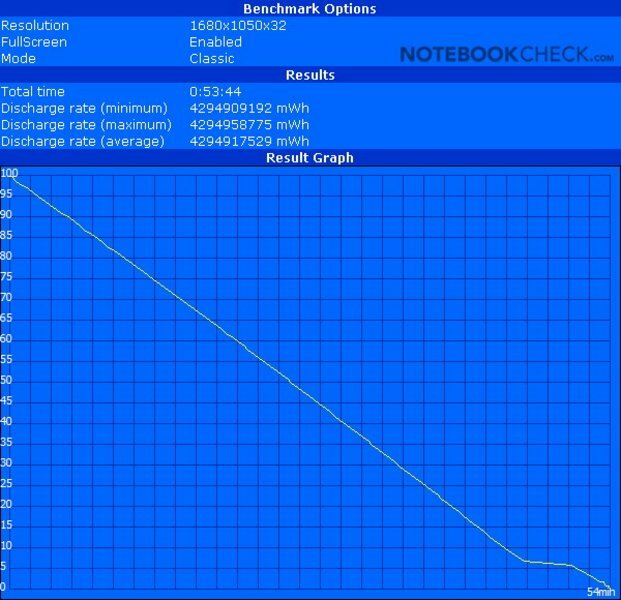 Due to the processor upgrade the current Znote 6625WD is slightly louder and gets slightly warmer than its predecessor. Comparing it with even less powerful notebooks, the powerful 6625WD is still good regarding emissions. The noise level is neither annoying, nor you'll burn your fingers on the case. 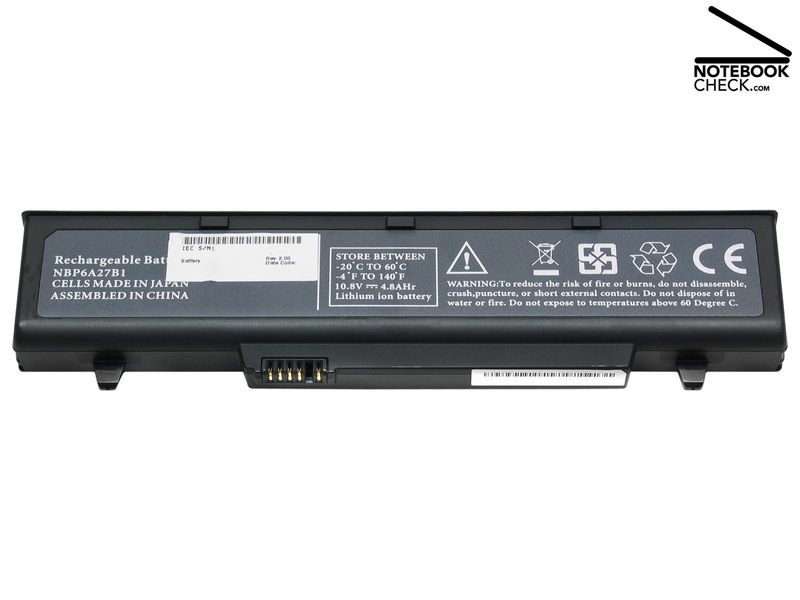 The battery runtime of this 6625WD is even lower than the one of the Znote-6625WD with T7300 CPU. Once again, if you want to work unplugged for more than two hours, you should consider to buy an additional battery with more capacity. At the time of writing the Zepto Znote 6625WD costs nearly 880.- Euro in base equipment. 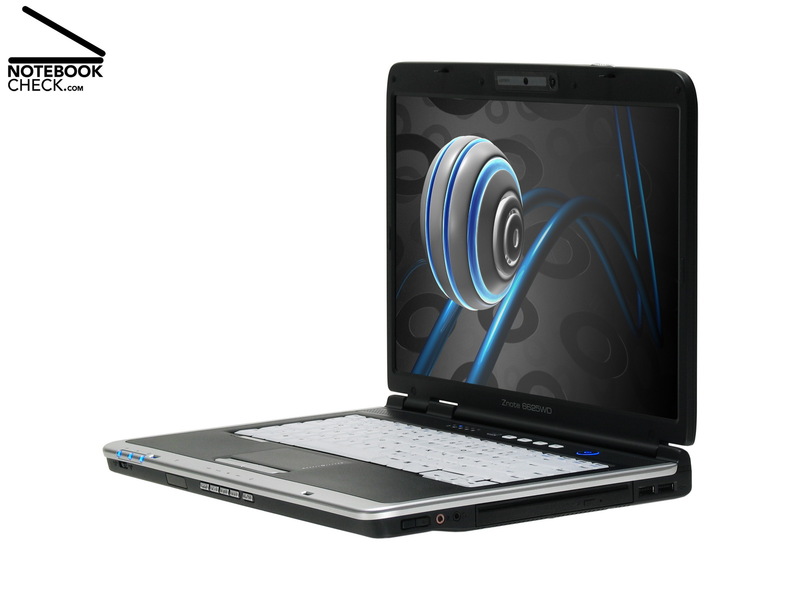 The base version differs to the reviewed notebook by being equipped with an Intel Core 2 Duo T5450 with 1,66 GHz, a 80 GB hard disk, and one GB RAM. Operating system, DVD burner, and WLAN are optionally available for a surcharge. 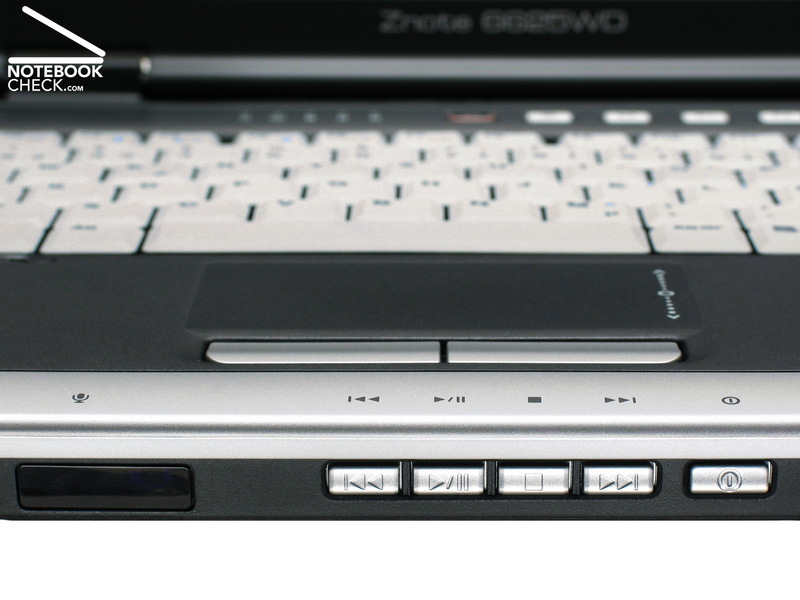 A CD/DVD burning software and a driver CD are included in the box of the Znote 6625WD. Further accessories, like, e.g., micro-fibre tissue for cleaning the display or the case are not provided. 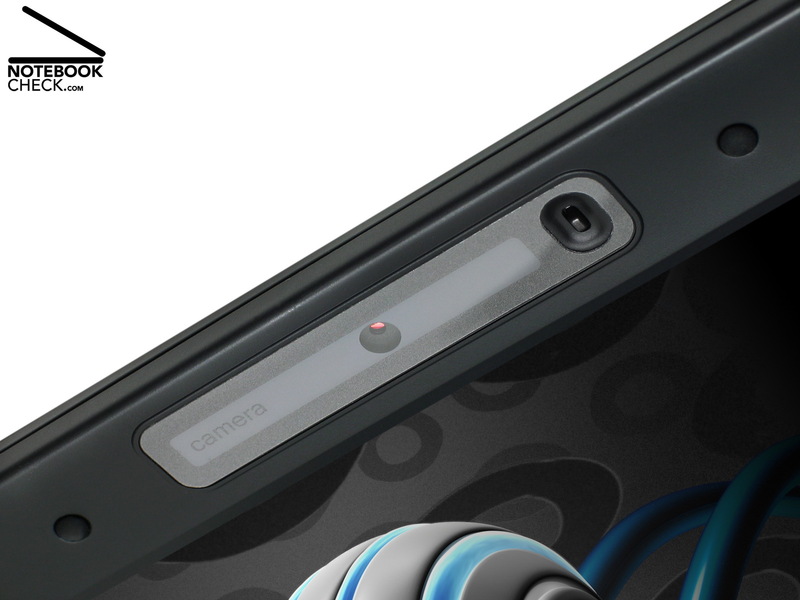 Should be available: A small web cam with 1.3 Mega pixels is located inside the display frame. So, the this notebook is fit for video conferences. A docking port is available at the bottom side of the 6625WD. This avoids cable spaghetti on the desk. Unfortunately also the docking station does not provide a digital video out. It's a disadvantage, that the fan cannot be easily accessed for cleaning. However, hard disk, RAM, and WLAN module can be user-friendly accessed. The Zepto Znote 6625WD is equipped with 2 GB of fast DDR2-800-RAM. However, the system itself does only drive it with 667 MHz. The 51.84 Wh battery can hardly cope with the energy demand of this multimedia notebook. Even with 'energy saving' profile the runtime is only about 2 hours. If you travel a lot, you should either buy the 12 cells battery or a supplement battery. The power adapter, which weighs 368 g, fits into every hand luggage. 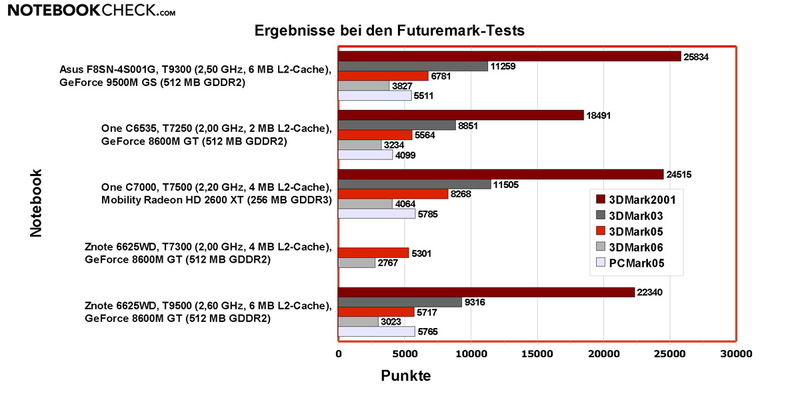 The fast T9500 CPU contributes to good 3D benchmarks of Futuremark. However, here the video performance is more crucial for a good result. The current model with Penryn-T9500 is slightly more powerful than the previously reviewed Znote 6625WD with T7300. 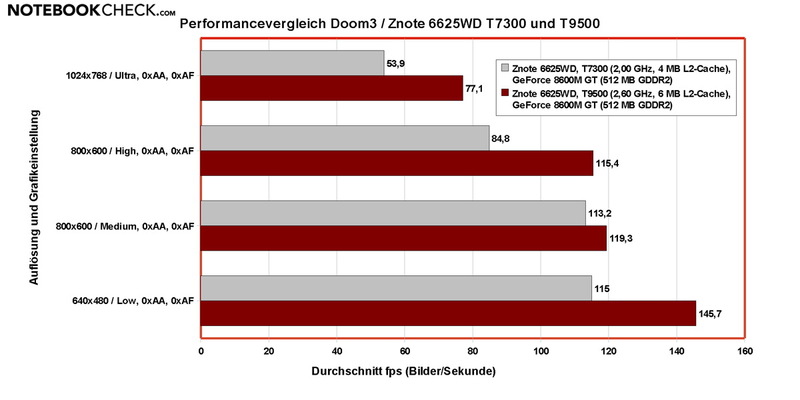 The same is true for Doom 3, where the 6625WD with faster CPU performs clearly better. 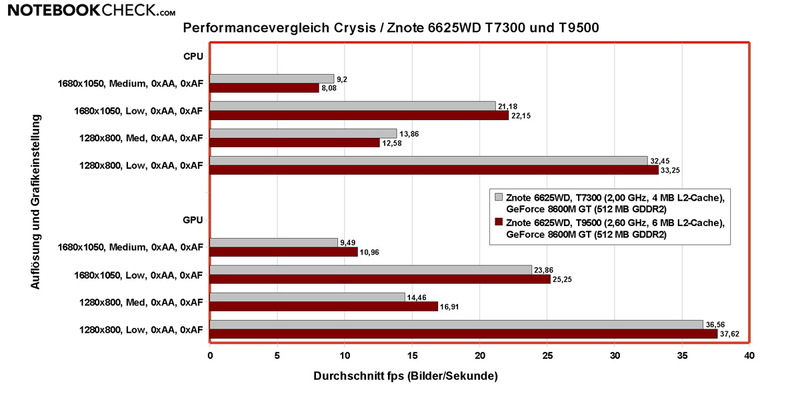 However, there is not much difference when running Crysis. Video performance is much more crucial for Crytek's ego shooter, more calculation power does not really make a difference. 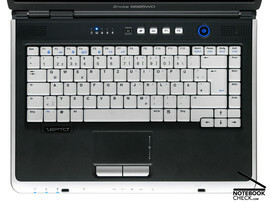 The keyboard of the 6625WD could be improved regarding mechanics and typing comfort. 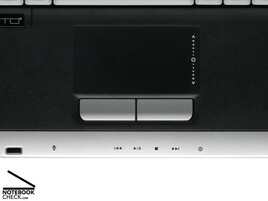 The hot keys at the front edge control the media player. So, there is no need to control it by mouse or touch pad. The huge indicator LEDs are highly visible and legible independent of the brightness of the environment. Due to a case in black and silver and bevelled edges the Zepto 6625WD looks good. You won't guess that this simply elegant notebook weighs actually 3 kg. This notebook, made in Denmark, has a clear and user-friendly designed inside. Overall the case of the Znote 6625WD seems to be solid. The top trough is rather resistant against usual forces of writing. Although the 6625WD creaks a little bit, if you lift it at the front edge, this is within a tolerable range considering it is made of plastics. 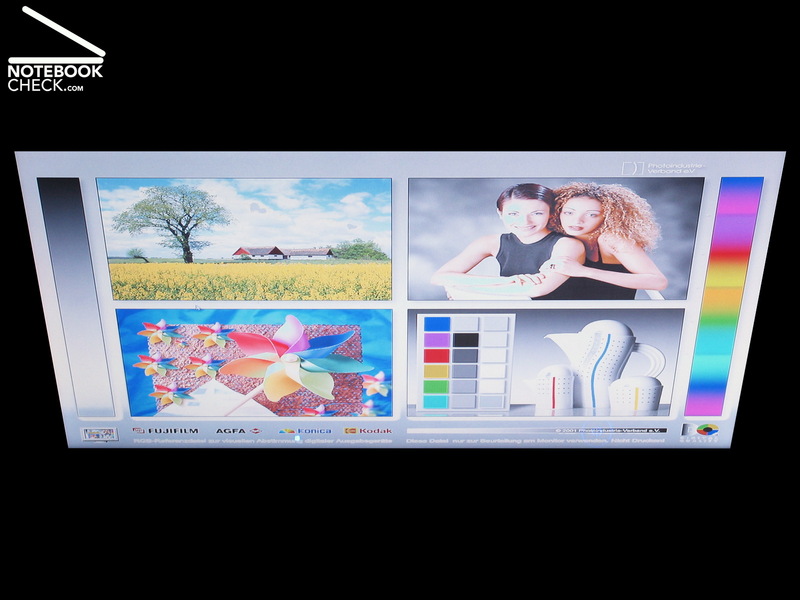 The heavily reflecting WSXGA+ display has a high resolution of 1680x1050 pixels. Its maximum brightness and the evenness of luminance is worse than the ones of its predecessor. In return, the contrast ratio of 500:1 is better. The brilliance of the colours gets especially obvious when watching films. 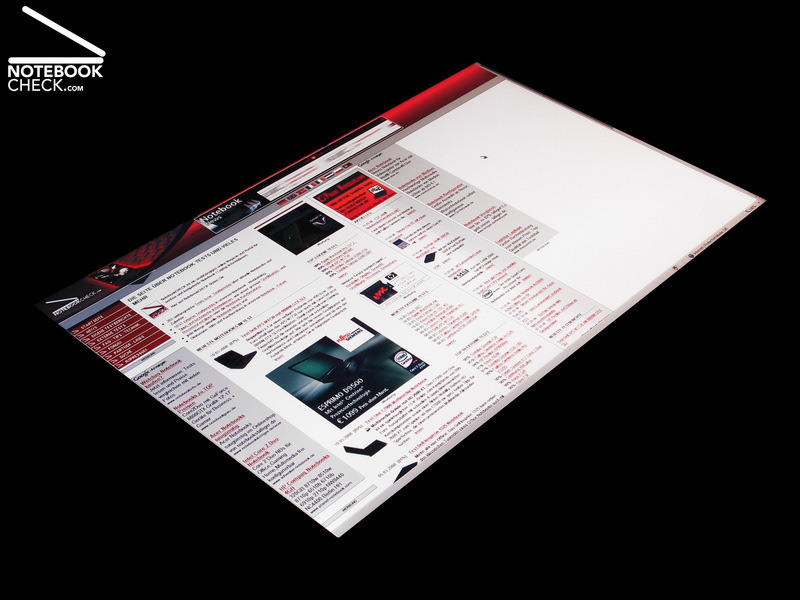 The horizontal viewing angles are better than the average, the vertical ones average. The simple lid does not well protect the sensible LCD of the 6625WD. Even if you only slightly press your finger against the lid, the picture of the LCD clearly changes. Therefore, you should take care that sharp objects do not press against the lid, if you transport it. 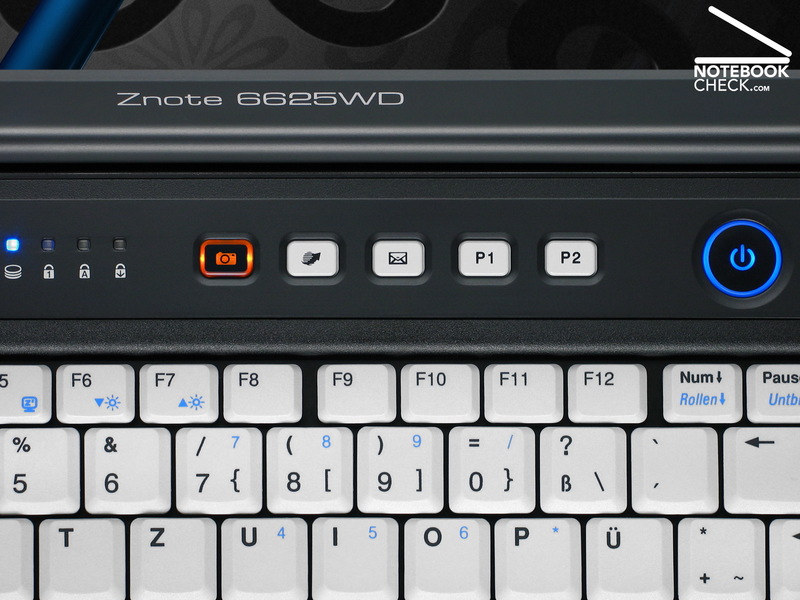 A number of hot keys ease using the Znote 6625WD, e.g., they provide launching the web browsers, the standard e-mail application, and some of them are configurable by the user. The button of the webcam gets orange upon activation. The WSXGA+ display of the predecessor Znote 6625WD rated better. This display is less bright and the luminance is not that evenly distributed.